Hanukkah is the celebration of the re-dedication of the Second Temple. You don’t have to celebrate Hanukkah because it is not commanded by YHVH so why would we celebrate it? First: Dedication of my faith in YHVH no matter what I face. Second: This story is about the power of YHVH to save – are we ones who call on his name? Third: A look at the past changes the future. 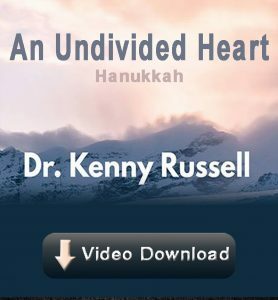 Kenny Russell is the founder of the Hebrew Roots Center in Galilee Israel and Bulldozerfaith.